Around the world people are unplugging from ‘the system’ and decide to follow their spirit of heart. They start to express their purpose through starting social enterprises, rediscovering the artist within themselves or start to do more charitable work. All in service for the whole. An interesting movement that fuels this transformation has been going on for over many years already. But now it seems to catch momentum and is slowly reaching mainstream audience. A good thing, because transformation is something that should be accessible to all of us. No one wants to (unconsciously) live in fear. We simply all are born to access & live our highest consciousness. Visionary art, transformational healing & music are the pillars of these festivals. They provide spaces where people can explore themselves and experiment what this ‘new world’ implies. Not festivals to party only, but to get to know your True Self. Not festivals to consume, but to participate, in which you are the co-creator of the experience. No commercial entertainment, but a meaningful community experience and ritual. Not wasted afterwards from alcohol and drugs, but rejuvenated, inspired & re-energized to shape ‘reality’ in your daily lives. 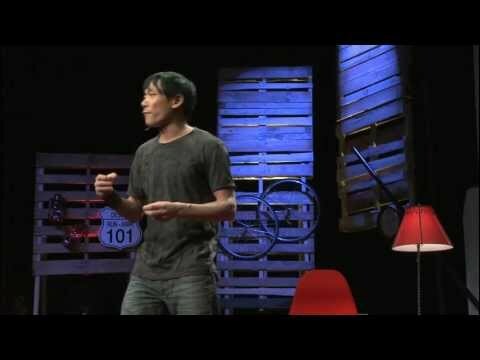 Watch this TEDx talk by Jet Kei Leung. This ‘new world’, the world that is there once we relieve ourselves from the identification with fear, is being created by the free spirited souls that have the courage to unplug from ‘the system’ & to start living their purpose. Using festivals as a platform to experiment with a next dimension of living. And an ideal practice ground to feel what our future will look like. Here is a short list of the myriad of festival already there worldwide. The Bloom.tv channel is creating a documentary, to be published in four beautiful episodes that will blow your mind. A highly recommended watch! The first two episodes are already available, donation-based. CLICK HERE FOR THE DOCUMENTARY. We at Giving is All we Have contribute through our Give Shop; participating at events and festivals to help people remember their unconditional nature. Every single time the effects are out of boundaries. The simple act of giving appears to shed light into the darkness & creates a snowball effect of joy and remembrance. Pure Magic on the intersect of giving & receiving. One thing is for sure, transformational festivals are of major importance in fueling a new dimension of living. Not only do they profoundly transform people’s lives by opening up their consciousness, they also show what life on Earth could also look like. Without suit. Without office hours. Without fear. We humans are the creators of our reality.